Uptown girl meets rogue biker - with a shape-shifter twist! All Cynthia was planning for the weekend was a quick escape to the countryside, where her inner dragon can stretch its wings. 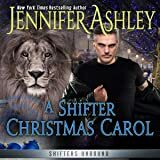 She wasn’t counting on a handsome, enigmatic wolf shifter coming along and sweeping her off her feet. Cynthia has always been driven by duty rather than desire. But suddenly, she finds herself making reckless, irresponsible choices and telling herself, "Just this once...."
A night of sizzling passion ensues, but the question remains: Is Cal to blame for making her throw caution to the wind - or is it destiny? 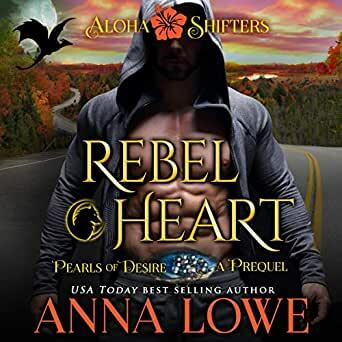 This short-story prequel can be listened to at any point in the Aloha Shifters: Pearls of Desire series (all stand-alone audiobooks with no cliff-hangers). "Rebel Heart" reveals Cynthia’s backstory and sets the stage for her second chance at love, a story told in the series finale, Rebel Alpha (Aloha Shifters: Pearls of Desire, Book Five - a full-length novel like the rest of the series). Aloha Shifters: Pearls of Desire is a series of sizzling paranormal romances with adult content. No cliff-hangers. Each story is a pause-resister packed with action, emotion, and romance! If you like Magnum, PI and smoldering-hot alpha shape-shifters, you'll love these audiobooks. Join these strong heroines and their alpha heroes in exotic, tropical locales full of danger and suspense! 5.0 out of 5 starsLOVE ON TWO WHEEL'S GIVES THE DRAGON HER WINGS. I can't wait until the next book comes out. Anna you have done it again. Now to read the next. 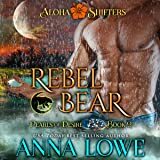 This is a quick teaser/taster for REBEL ALPHA, book 5 in the Aloha Shifters, Pearls of Desire series. Such a short taster for a story that I am waiting impatiently to read but so emotional that I had tears in my eyes. 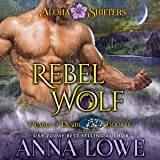 You don’t need to have read the previous books or this short but it will make reading Rebel Alpha that much more enjoyable. Please note this is just a short sweet taster, not a full book but saying that any book written by this author is a winner for me. My only complaint is that this is a short story. We are told this in advance but, as with all Anna's books, you never want it to end! We have known since the beginning that Cynthia has a tragic past but, I for one, thought that she was grieving the death of her husband. Now we know that she has the chance of a HEA and can't wait for Rebel Alpha to be released! I liked it and am looking forward to reading more. Great characters.